I love these boots from the "Cowboy Gear" set and actually thought about my daughter when I saw them. 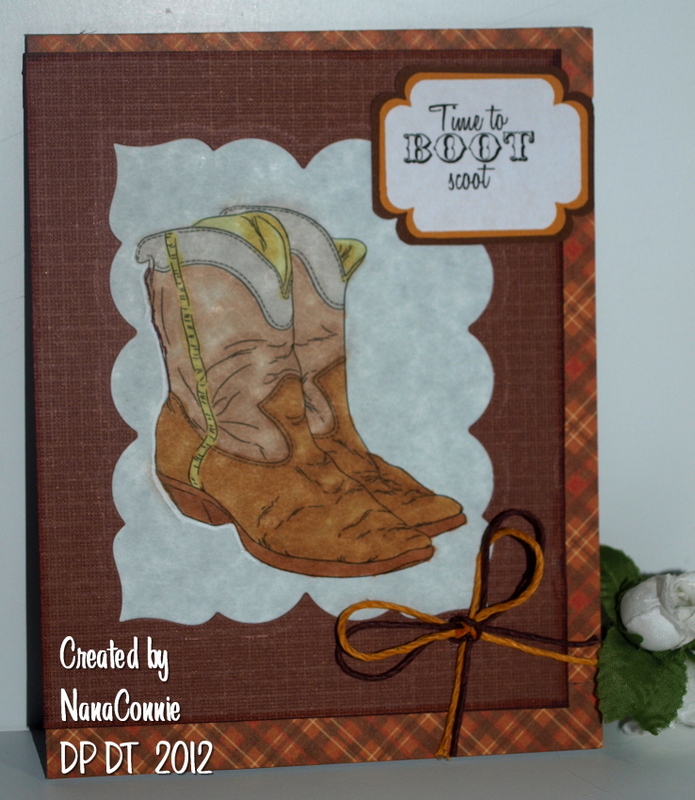 While she rarely wears boots, she's really into line dancing and West Coast Swing, so the sentiment, "Time to Boot Scoot" (also from the set), really reminded me of her. I've done this one as a masculine card with lots of layers, pieces that are die cut and punched, and dp suitable for a guy, but is still a CAS design. Why does everyone say masculine cards are hard to do? They are easy in design planning, and usually quick to make. I colored the digi with Promarkers this time, then die cut a piece of CS and used the negative piece as the frame for the boots. That's matted with black CS. The background dp was in my stash of "autumn" papers and I have no idea who made it. Too bad, because this is almost the last of it and I'd love to get some more. The sentiment is corner punched, then matted twice and both mat pieces are corner punched also. The double twine bow is the only embellishment, in keeping with the CAS idea. Our new challenge at the Perfect Sentiments Challenge this week is do a card with a Thanksgiving or Autumn sentiment, and add some Baker's twine. Our prize this week is offered by Shelly's Images. My sketch came from A Die for a Sketch, and the image is from Digi Doodles, called "Hobo's Thanksgiving." The Digi Doodle shop is going to be closing soon (sniff) so I went over there and bought a bunch of digis before they're gone forever. I thought this image was a great reminder that we all need to be grateful for what we have, because it's probably a lot more than many others have. I didn't do a lot of coloring, wanting to leave the hobo looking a bit vague and 'empty', but I did use pastel Promarkers on the crates and for shadowing around the figure. I had to use a fine point, black pen on the line drawing so that it would show up a little better. It tended to fade out without coloring. 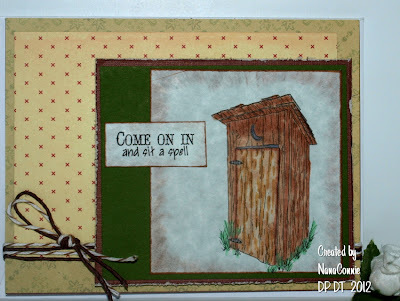 The other day, a dear friend from Blogland posted a card to her blog that featured an outhouse and fabulous story about her husband building a meat smoker in their back yard which, to her eye, looked just like an outhouse. You can see her card and read the whole story here. To that, I can only say, "Thanks for the inspiration, Lynn!" The image (which you can find here) is colored with Spectrum Noir markers, and chalked around the edges. I distressed the edges of the image, the sentiment (also part of the Nature Calls set) and the mat piece. The dp is from the scrap pile which was on my table. I added twine and cord from deep in my stash, and left the rest of it completely plain. 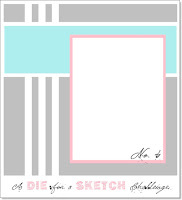 If I wasn't on the Doodle Pantry DT, I'd be entering this into their September Challenge. It's always an 'Anything goes' theme, but you do have to use a Doodle Pantry digi. If you enter the challenge this month (it runs until September 24), you'll get this set as a freebie just for playing. You can't beat that!